1.1 We are committed to safeguarding the privacy of our website visitors to www.localemergencylocksmith.co.uk ; in this policy we explain how we will treat your personal information. 2.1 Credit of this document goes to SEQ Legal (http://www.seqlegal.com). 7.1 You may instruct us to provide you with any personal information we hold about you. 9.6 The names of the cookies that we use on our website, and the purposes for which they are used, are set out below: (a) we use doubleclick.net. We use others with names such as _drt_, FLC, NID and exchange uid. Sometimes a cookie may be set on the domain of the site you are visiting. In the case of our DoubleClick product, a cookie called ‘__gads’ may be set on the domain of the site you are visiting. These are Google cookies that track users as they navigate online and and target advertisements which may be of particular interest to specific users. 9.8 Blocking all cookies will have a negative impact upon the usability of many websites. 9.9 If you block cookies, you will not be able to use all the features on our website. 9.11 Deleting cookies will have a negative impact on the usability of many websites. 10.1 This website is owned and operated by Local Emergency Locksmiths (ITCC Group). 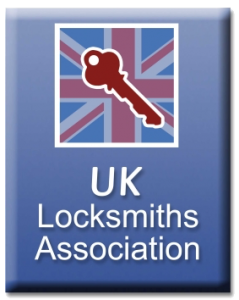 10.3 Our principal place of business for Local Emergency Locksmith is at 51a The Oval, Sidcup, Kent, DA15 9ER.